When you enter same you will see Range Rules posted at the left and right side of the entrance. It is you responsibility to read and obey same. 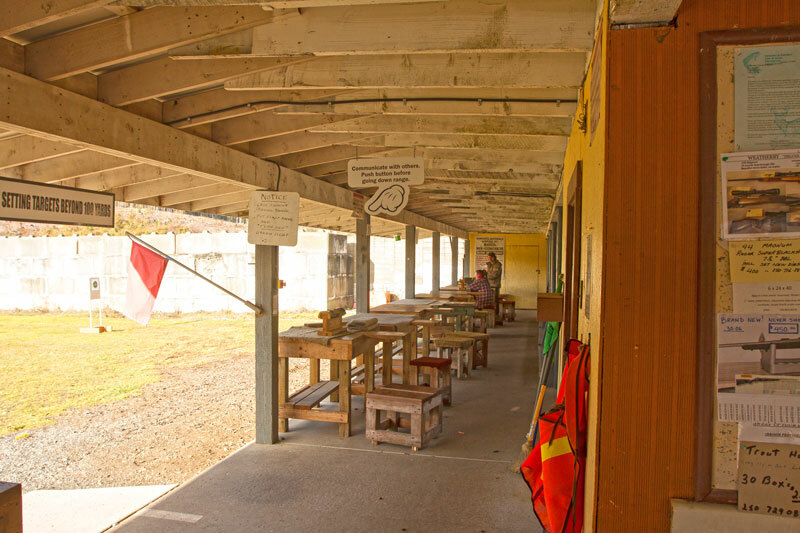 The right side of the range intended for the discharge of big bore centre fire ammunition has nine (9) shooting positions which correspond with the nine target stands at 100 meters. 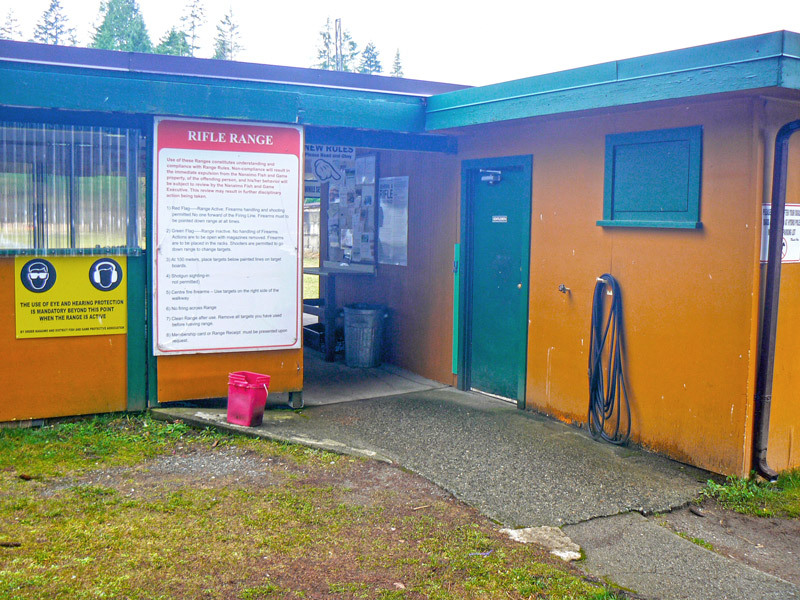 The left side of the Range has six (6) shooting positions normally reserved for small bore ( .22 ) rim fire Firearms. 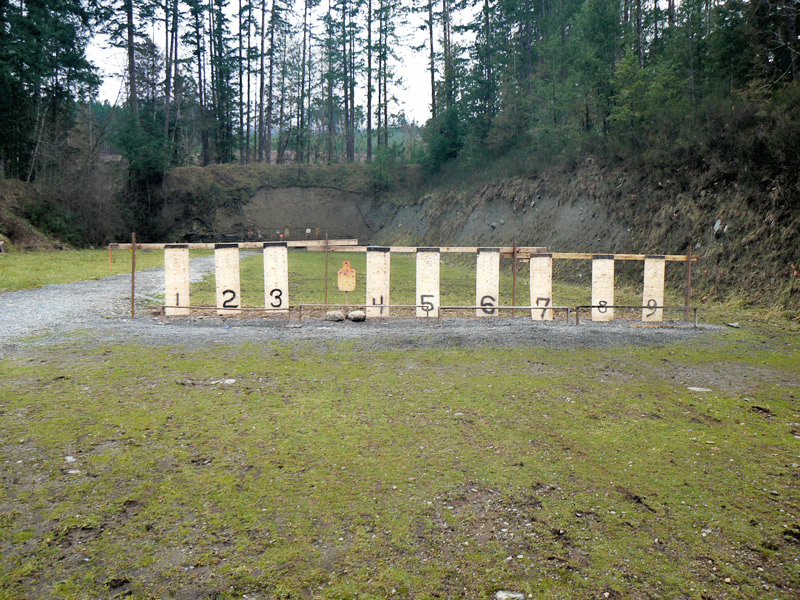 Portable target stands are available for placement of Targets at distances between 25 yards and the 100 yard location. While we provide target stands, it is your responsibility to bring Targets, staplers etc as required.